There are five uniquely different designs in the Shackle Plates™ Dynasty. Each one allows you the freedom of choice as you design the rigging requirements of your scenery, as well as meeting the changing needs of every production. Quick and easy to use. Choose th e best suited Shackle Plate™ for your project and simply attach it by bolting to the lowest point of the scenery directly in line with the Keeper Plate™ that you have bolted to the top of the scenery. The cable line used to suspend the scenery is attached to the Shackle Plate™ and then run though the Keeper Plate's™ eye opening and finally onto the suspending point. Now you're ready to go. Made from heavy-gauge steel and pre-drilled for assembly with two 1/4” bolts and two #8 or #10 ﬂ at head screws. Will accept shackles or jaw type turnbuckles with a 1/2” through-bolt and mounts easily to the bottom-rail of any ﬂat or for use as a ﬂoor or ceiling plate. Made from heavy-gauge steel and pre-drilled for assembly with two 1/4” bolts. 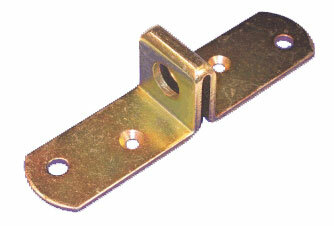 Mounts easily to the side-stiles of any wood or metal ﬂat. Made from heavy-gauge steel and pre-drilled for assembly with two 1/4” bolts. This smaller version of the 90-degree Shackle Plate™ will mount easily and more discreetly into the side-stiles of any wood or metal ﬂat. Made from heavy-gauge steel and pre-drilled for assembly with two 1/4” bolts. Smaller version of the 1/2” Shackle Plate™ that will mount easily and more discreetly into the bottom-rail of any wood or metal ﬂ at, and can also be used as a ﬂ oor or ceiling plate. Made from heavy-gauge steel and pre-drilled for assembly with two 1/4” bolts. Attach the Keeper Plate™ at the top of the scenery directly in line with the Shackle Plate™ that you have bolted to the lowest point of the piece. The cable line used to suspend the scenery is attached to the Shackle Plate™ and then run though the Keeper Plate’s™ eye opening and ﬁnally onto the suspending point. Made from 1/8” heavy-gauge steel. Use this trouble-free plate to attach one piece of scenery to another. 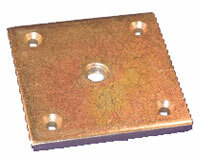 Weld the square end onto your steel scenery making sure that the rounded end with the hole is exposed. Now your other scenery can be bolted directly to the plate. Made from 1/4” heavy-gauge steel. We offer drop forged, quenched and tempered screw pin anchor shackles as our standard but we will provide safety as well as other types of shackles on request. Working load limits are stamped into each shackle. We recommend the use of shackles in overhead lifting because they are rated for this with a built in 5:1 safety factor. We ordinarily sell Crosby shackles. Quick links are not recommended for overhead lifting by the manufacturer, but are often used because of their convenience. Please keep in mind the working load limits when using quick links. If in doubt, use a shackle. 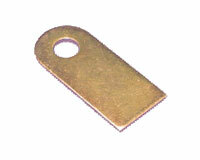 We can supply batch tested as well as the Original Malion Rapide individually tested quick links. Mallion Rapide quick links are manufactured by Péguet and Cie which was founded in 1941 as a family-owned company and now has a presence in more than 50 countries world-wide. The big strength of the Maillon Rapide (Quick Link) lies in its effectiveness. Despite their small size, they have a matchless strength, further checked by traction tests during the whole manufacturing process. Safety margin is 5 times the guaranteed working load limit (WLL). Turnbuckles are available in a wide variety of sizes and styles. The most commonly used in the theatre are shown below, but we do carry larger sizes and other styles. Available in eye to eye, jaw to jaw, or hook to hook. These are all drop forged galvanized items. Both Crosby and offshore products are available. 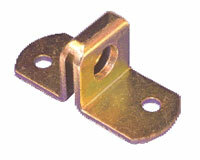 These items are manufactured as a tie off or attachment point for rigging hardware. Shown below are D Ring (most economical), top hanger, bottom hanger and ceiling plate. Lag Eyes for a secure mounting into substantial wood framing are a great tool for the rigging kit. 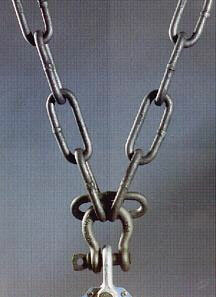 There is a wide variety of sizes and styles of chain on the market. Great care should go into the selection of the appropriate chain for your application. We stock the most useful types for the entertainment industry. Is a twisted non-welded loop style of chain useful for very light duty suspension not requiring high strength. 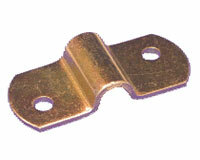 Often used in the support of curtain track or drapes from carriers. Is a good general purpose chain. It is proof tested to twice its working load limit with a minimum ultimate load of 4 times its working load limit. While not recommended for overhead lifting by the various manufactures it is commonly used in the theatre for the suspension of scenery and pipes due to the ease of attachment of fittings. JR Clancy has come out with the following recommendation from their Chain supplier. "When used within the appropriate work load limits proof coil chain may be used in hanging towing and pulling applications"
This is the only grade of chain recommended by the manufactures for overhead lifting. 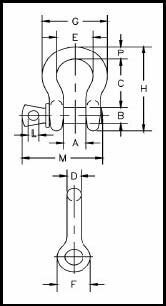 Unfortunately it is very expensive and the attachment of fittings is very particular. Recommended for overhead lifting applications. Spec. 8 Drum Stock No. Adjustable to approximate 4" (100mm), will accept up to a 3/4 inch shackle. For adjustment in bridles, also useful for hanging safety steels. High strength chain with a working load limit of 12,000lbs, 5900 Kg. Made from heat treated alloy steel - fire proof and abrasion resistant. Tested and certified, complete with chain tag. SECOA Theatrical Chain (STC™) is an economical chain designed for overhead lifting applications for the theatrical market. Rugged, versatile, high strength with low weight. The ultimate tensile strength is two and a half times the strength of a standard 1⁄4" proof coil chain. 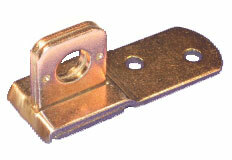 Same link size as standard 1⁄4" grade 30 Proof Coil Chain. Easily works with existing 1⁄4" chain hardware. SECOA Theatrical Chain (STC™) is made from alloy steel for superior performance and strength. Working load limit of 3,250 pounds. Complies with OSHA 1910.184(e)(5) – Sling use. Lot traceable. Every tenth link has a coded date stamp for quality assurance. Proof Tested. Every link is proof tested to twice the working load limit. Each link is embossed with “STC” for identification. Yellow iridescent chromate finish for easy identification. High working load limit for safety. Easily identifiable in the field. Retrofits easily into existing systems for added safety.